I wouldn’t agree that vMotion is holding us back or that it’s preventing applications from scaling. For local datacenter availability and management it provides a valuable service. 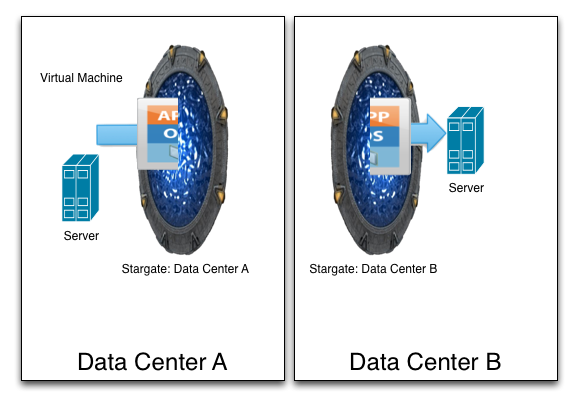 For inter-datacenter then that’s where you need the scale built into the applications. But both are complimentary. I built an application architecture in 2007 for a large financial system that distributed the application across multiple datacenters that was always on. If we lost a single or even multiple components it made no difference, the application just kept going and the users were none the wiser. This was virtualized and leveraged vMotion, HA, DRS etc at each local site, but we didn’t use that inter-site due to the distance (400 miles), cost of and amount of bandwidth (only had 200Mb/s), and there were many more appropriate solutions. I don’t think this has changed. It was far easier, far less complex, and far less costly to build in availability and scale to the application than trying to stretched the datacenter. But we would have been far worse off had it not been for virtualization and the ability to use vMotion, HA and DRS. The costs would have been many tens of millions of dollars more without these essential VMware technologies. So I strongly disagree that vMotion needs to die, in fact I think we need to leverage the best that the infrastructure has to offer at a local datacenter level, while taking a common sense approach to application scale and availability. Besides, not every application needs this scale, and you should be designing and architecting to the requirements. software defined networking is supposed to alleviate move of the problems you are describing by decoupling the addressing from the infrastructure. this solves the age old “but I can’t merge two networks together without redoing everything”, which limits application mobility. this is a legacy from the old ways of coupling the web server with the IP addressing and causes all kinds of headaches when trying to migrate multitenant VMs to another location. if anything its the fault of the applications, which are built without virtualization in mind, rather than vMotion or Hyper-V or whatever. The fatal flaw is trying to trick legacy crap into thinking that its running on dedicated hardware. The future of virt should and would involve deep hooks from the host down to the application/service on the guest. (Hyper-V has some notions of this ie VSS). I believe that your article should say the perception of vMOTION is holding us back. Vmotion Is great for certain areas such as small to mid size companies who need reliable infrastructure and the ability to move that area from one data center to another. Most people believe that vMOTION is only solution for moving VMs and not considering a better application design due to the fact that human/monetary resources aren’t available to consider a redesign. Most apps out of the box are for using with standard Virtual techniques which works well until larger firms can build a VM based solution that is free or affordable. When you building apps in a cloud or internet then vMotion isn’t the right tool for moving the infrastructure without some barriers. But to move forward, the perception must change. In one post you said something valid and something invalid. Let’s break this up. First, it’s not just “legacy crap”. Many high transactional, heavy volume, heavy processing applications (often built on C++ or C#/WPF) need “on the bone” access. Not the illusion of it. The need is real and should not be ramped up assumptively by VMWare or any other virtualization application. That’s actually doable, but it contradicts what the virtualization sales pitch is. A top-tier content management solution will require this access to run at peak. It does not require it to run. Any real OCR solution will require it to run at peak. Does not require it to run. The question providers need to ask is, is all we care about “just get by”? Or do we truly want the best out of the platforms we’re giving to the users? Are we fine making our (IT) lives easier at the expense of user expectations of performance? Because that’s not a company I’d work for. Solutions should benefit users, not IT. “this is a legacy from the old ways of coupling the web server with the IP addressing and causes all kinds of headaches when trying to migrate multitenant VMs to another location. First, the IP addressing situation has nothing to do with web, and everything to do with the NIC, virtual or otherwise. Blame Microsoft, or Apple, or Unix, not “web”. Because even a non-web server that needs some level of connectivity, requires an IP address and ideally, a static one. Means your subnetting needs to make sense. Now, the trick is to consider load balancing such that when these changes are made across subnets, the underlying application doesn’t care if the IP needed to change. Load balancers are expensive, but they avoid the issue you’re talking about. It’s not the application’s fault. It’s a slave. It’s VMWare/Microsoft’s fault for not fixing the problem of how to ensure a stateful situation when you’re moving files across the network. For simple web service stateless applications like an intranet site, VMotion is fine. The HTTP protocol is designed to “wait” for a reply, no matter how long that takes. But when you’re talking direct connect applications that use heavy database traffic, client/server interactions, and usability, there simply can be zero disruption. That’s a virtualization problem, not an application problem. Interesting. 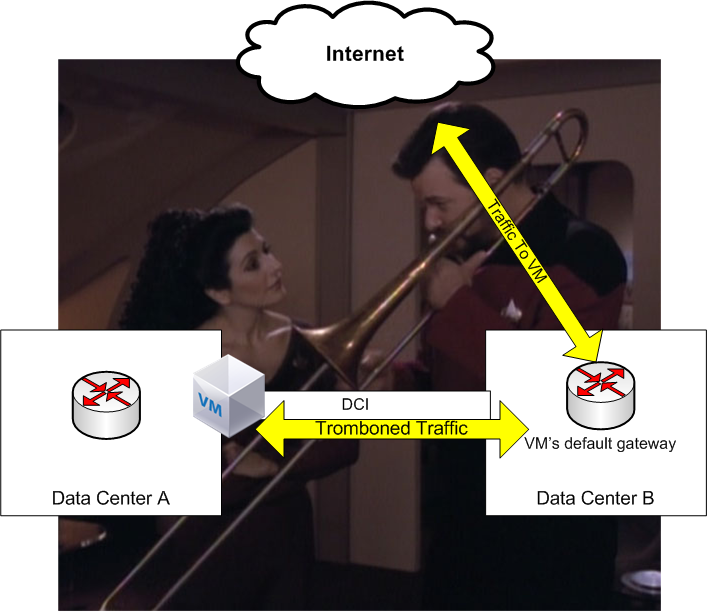 How would you propose to distribute load across physical servers locally within a data centre? You, uhh, gonna back that up with anything?